Tunnel Vision | Hidden Brain Have you ever noticed that when something important is missing in your life, your brain can only seem to focus on that missing thing? Two researchers have dubbed this phenomenon "scarcity." I'm Shankar Vedantam, and this is HIDDEN BRAIN. One of the great things about science is that it can change the way we see the world. Today, we have an episode from March 2017 that I still think about all the time. It's a story that will change the way you think about many things - poverty, loneliness, time, even hunger. It's a tale about the psychological phenomenon of scarcity. It affects nearly everything in our lives and connects people who appear to have nothing in common. The story of scarcity is a story of how not having enough of what you need can become the only thing that matters to you. SENDHIL MULLAINATHAN: That, I think, is the basic scarcity instinct. We're hungry. And then this thing starts going off in the head saying, do you realize we're hungry? Have I mentioned we're hungry? We're hungry. VEDANTAM: The scarcity trap, this week on HIDDEN BRAIN. VEDANTAM: Brandy Drew has a story that may sound familiar to you, a story of poverty and debt. It's the kind of story that may lead people to quick conclusions. So pay attention to your own. Brandy is now 37. Six years ago, her life unraveled. At the time, she ran the dining services department at a senior living facility. She'd been with the company that ran it for more than a decade. One day, she made a mistake. VEDANTAM: Brandy earned more than her husband, so the loss of the job hit hard. She felt like a loser. She tried to bring in money doing odd jobs, like cooking takeaway meals. But the stress grew. Brandy and her husband began fighting. She had supported him when he'd been laid off a few years earlier. And she'd expected he'd do the same for her. But he felt a layoff was different. He was mad that she'd made a stupid mistake. DREW: I went straight to Wal-Mart. And I bought, like, a family size of toilet paper, family size of laundry detergent. Like, I stocked up on things all at once whether than keeping it handy just in case. So I, like, maxed it out within the first couple of days that I had it rather than holding on to it for emergency purposes. MULLAINATHAN: When you have scarcity and it creates a scarcity mindset, it leads you to take certain behaviors which, in the short term, help you manage scarcity but in the long term only make matters worse. VEDANTAM: When we come back, how the scarcity trap changes the way we think. Stay with us. VEDANTAM: After she lost her job, Brandy fell deeper and deeper into debt. One big reason is that she made a series of decisions that improved her life in the moment but made it worse in the long run. She could have used the new credit card only for emergencies, but instead, she maxed it out in a couple of days. To understand why she did this, I want to take you to a completely different time and place because it reveals something important about Brandy's story. It's 1944. World War II is nearing its end. Europe is on the verge of mass famine. Aid workers desperately need guidance on how to bring people back from the brink of starvation. Researchers at the University of Minnesota thought they could help. They launched a year-long experiment. As a 2002 documentary made by the university explains, the volunteers were conscientious objectors who still wanted to serve their country. The experiment, the volunteers had to go on a starvation diet. UNIDENTIFIED PERSON: Thirty-six young men, most of them Quakers, Mennonites or Church of Brethren members, moved into the south tower of the Memorial Stadium, which would be their home for a year. Many took courses at the university, even as they grew thinner and thinner. MULLAINATHAN: I think this type of scarcity is almost like an alarm that goes off in the head that's saying, hey, we really need this thing addressed. We really need this thing addressed. VEDANTAM: There's a reason our minds work this way. Tunneling into something makes you focus on it. Everything inside the tunnel becomes crystal clear. The problem is you can't see anything outside the tunnel. People in the poverty tunnel are actually very good at figuring out how to stretch the money they have to make it to tomorrow or the next week. Studies show that the poor tend to be better than the rich at knowing where you can find the best deals, the cheap tube of toothpaste. Someone who is poor is often consumed with finding solutions to immediate problems. How do I get food on the table today? I'm not thinking about problems that are a few weeks away, like the utility bill or gas money or a credit card payment. VEDANTAM: Just as the poor focus on the money they do not have, the lonely tend to focus on the friends they do not have. The result is they try too hard to be liked. In a conversation, the lonely person might be so preoccupied with making a good impression that he can't pay attention to what's actually being said. The conversation falters. Instead of appearing likable, he's seen as awkward or flatfooted. What happens as a result? People avoid the awkward conversationalist. And the lonely person becomes even lonelier. This lens offers a new way of thinking about why people who find themselves in scarcity seem to do things that to an outsider look stupid. When you're in a hole, why would you dig yourself even deeper? Sendhil says we're asking the wrong question. VEDANTAM: Farmers who were rich tended to think about things that would help them over the long term. This matched other research that shows, for example, that farmers who are well-off tend to weed their fields more regularly than farmers who are poor. Farmers who were poor mostly focused on how to make it to next week, short-term thinking. To be clear, it's not that poor people focus on immediate needs because that's all they want to think about. It's all they can think about. Scarcity captures the mind, like it did with those starving men in Minnesota. In fact, scarcity can actually lower how you perform on an IQ test. VEDANTAM: When we come back, how being overworked and exhausted can produce a form of scarcity too and the pernicious effect this can have on your life. Stay with us. VEDANTAM: Eldar Shafir and Sendhil Mullainathan believe that when something you desperately need is in short supply, your brain tends to focus on that thing. This focus can be so intense that it impedes your ability to think about anything else. What happens when the thing you're missing is time, when you're so busy it feels like you don't have time to breathe? Let me tell you the story of a young woman named Katie (ph). She asked us to use her middle name for reasons that will be clear in a moment. For as long as she can remember, Katie has been driven - really driven. VEDANTAM: No one knows better than a doctor about the importance of nutrition. And yet, despite all of her medical training, Katie stopped taking care of herself. Here's one thing I haven't told you yet about scarcity. It can rob you of insight, insight about how your own mind is changing. Katie had no awareness that she was heading down a dangerous path. It became obvious to her only when it finally affected her work. VEDANTAM: But gradually, as the program literally forced her to do nothing, she started to emerge from the tunnel. She realized she had been so narrowly, relentlessly focused on one goal, doing well at work, that she had ignored the very things she needed to succeed - moments of relaxation, like watching TV or reading a book. Katie had loved art as a child. But she had put it aside because she thought it wouldn't help her become a better doctor. MULLAINATHAN: You can't say, I've had it with being lonely. I'm going to take a vacation from being lonely. It's not a choice. And to me, loneliness and poverty are the forms of scarcity that feel the biggest because while all these forces are at play, there's no release valve. There's no escape mechanism. Eldar and Sendhil want policymakers to design solutions that recognize how scarcity creates traps from which many people may not be able to extricate themselves. And they want the rest of us to stop preaching to those in poverty. If I offer a training program, I don't sit there and say, let me make sure, you know, what's going to happen? This is for low-income individuals. Surely, they're going to miss a few days because, you know, it's hard to get get to class sometimes or other things are on their mind. So let me design this curriculum so that it's in-attendance (ph) tolerant. So even if somebody misses three days in a row, they'll be able to come on that fourth day and still feel caught up. In fact, our training curriculum is often quite the opposite. If you miss three days in a row, it's an invitation to miss the fourth day because you're not going to get anything. VEDANTAM: It's taken time and little steps, but Brandy is no longer in the scarcity tunnel. She's been working for two years now. And she has savings. VEDANTAM: Eldar and Sendhil themselves say they are constantly trying to keep the lessons of scarcity front and center in their own lives. As a busy academic, Eldar has come up with a rule. When an invitation to an event two months down the road comes along, he asks himself whether he would attend the event if it were tomorrow. If the answer is no, he declines the invitation because his life is not going to be any less hectic two months from now. VEDANTAM: This episode was produced by Jenny Schmidt and Maggie Penman. It was edited by Tara Boyle. We had original music by Ramtin Arablouei. Our team includes Rhaina Cohen, Parth Shah and Laura Kwerel. Our unsung hero this week is Seung Kim. Seung is a senior director with the Local Initiatives Support Coalition. This is a national group that supports financial opportunity centers around the country, including the one in Detroit that helped Brandy Drew get back on her feet. Seung got us in touch with Brandy after making numerous calls and reaching out to friends, colleagues and counselors. Sometimes, the people whose stories need telling can be hard to find. Seung helped us to bridge that gap. 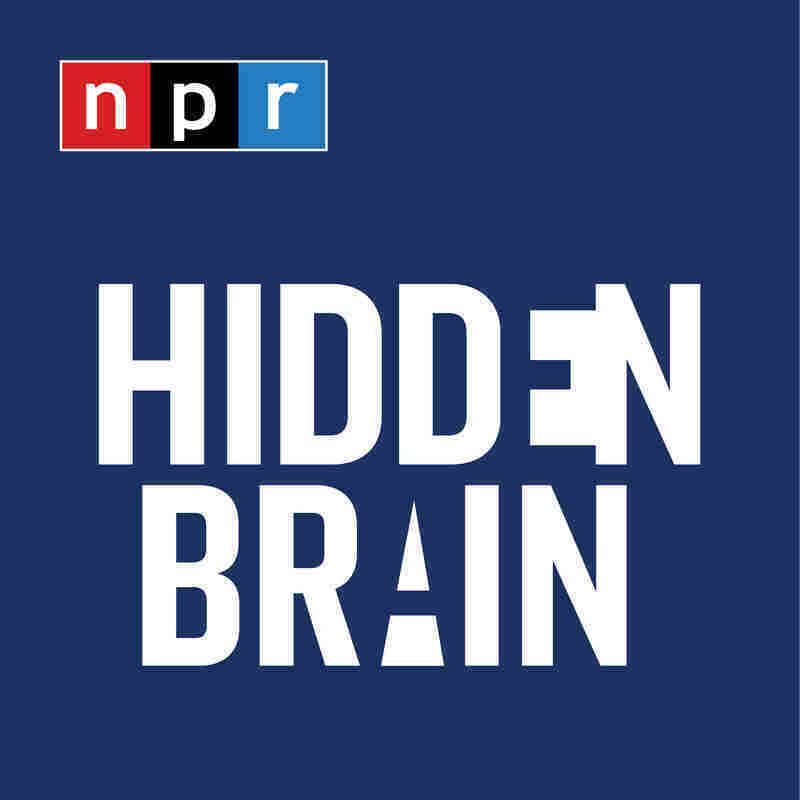 For more HIDDEN BRAIN, you can follow us on Facebook and Twitter and listen to my stories on your local public radio station. If you like this episode, please consider writing a review on iTunes or whichever platform you use to listen to podcasts. I'm Shankar Vedantam, and this is NPR.